In lieu of flowers, memorial donations may be made to the Cystic Fibrosis Foundation and left at the funeral home. 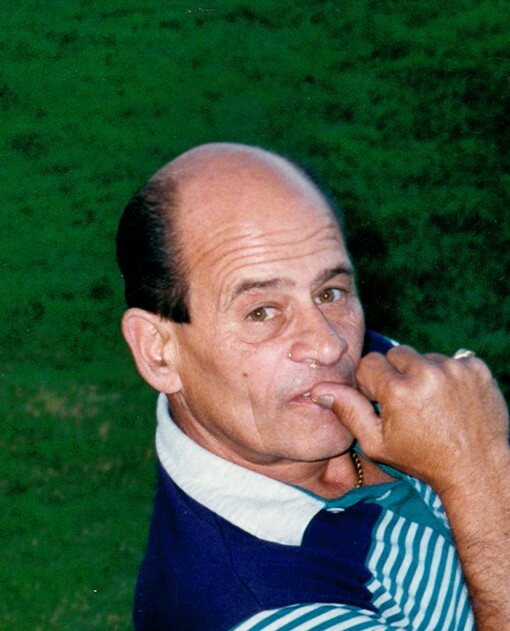 Stanley “Stan” Bryan Cannon, age 73, of El Dorado Springs, Missouri, went to be with the Lord on Wednesday morning, November 4, 2015. He was born on June 8, 1942, in Kansas City, Missouri. He was the son of Stanley Bryan Cannon, Sr. and Loraine (Wilkinson) Cannon. Stan graduated from high school in Kansas City, Missouri. Stan married Mary Lou Vantuyl, and they shared forty-three amazing years before his passing. Mary said, “Stan was my life.” He always will be, just as she was his. Their love was one that anybody could wish to know during their lifetime. Stan was a wonderful, funny, loving man who never met a stranger. He made everyone around him feel comfortable, and talking to people was one of his favorite things. Once he had hooked you into conversation, he would not let you go. He cared about other people’s feelings and always tried to make people laugh and have fun. He was a very hard worker, so much so that his sister-in-law called him the “Energizer Bunny.” He worked on many projects and did them perfectly. He often refused to stop until they were completed, even when he was having health problems. Stan did upholstery work for many of his seventy-three years; starting when he was very young and only quitting when he became sick. He owned his own upholstery shop in Lawrence, KS, for fifteen years before moving to Moses Lake, WA, where he ran a shop from 1985 to 2000. He enjoyed upholstery, but his real love was restoring classic cars and trucks. He bought them with rusty bodies and non-working engine and turned them into show-quality vehicles, doing everything from welding to painting. He won many trophies at car shows. Stan had many talents. He also worked in construction. He played the guitar and sang beautifully. He was the lead singer in a country band for twenty-five years. His singing could make a bad day into a wonderful day. Preceding Stan in death were his father, Stan, Sr.; his mother, Loraine; his step-mother, Thelma; his sister, Patty; and his brother, Howard Wayne. Survivors include his wife, Mary, of the home; his brother, Bill McKeone and wife, Larina, and children: Jeff, Kenya, and Ashley; his brother Mike McKeone; father-in-law and mother-in-law, Ron and Cleta Vantuyl; brother-in-law, Larry Vantuyl and wife, Casey, and children: Ashley and Adam and wife, Rachel; sister-in-law, Teresa Angalone and husband, Frank, and children: Laura and husband, Zach, Marie, and Joel; sister-in-law Joyce Vantuyl and fiancée, Ty, and children: James and wife, Brittany, and Jessica; sister-in-law Debbie Spicer and husband, Jeff, and daughter, Stacy; brother-in-law, Doug, and children: Brent and wife, Tammy, and Missy and husband. Heaven just received a shining star, but a huge void has been left in our lives, which the memories that Stan left us will help to fill. We will miss his mischievous smile so much. He was awesome and a hero to many. Funeral services for Stan Cannon were held on Saturday, November 7, 2015, at 2:00 p.m. at Bland-Hackleman Funeral Home with Rev. Brent Bland officiating. A visitation was held the night before from 6-7 p.m. Disposition was by inurnment.